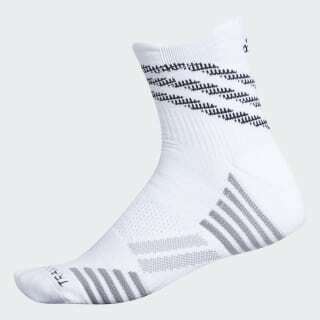 Socks built to stay put through tough workouts. These cushioned training socks have an anatomical design for supportive comfort through every lunge and stride. They're built with sweat-wicking Climalite leaving your feet cool and dry, while a cushioned Traxion footbed adds grip inside the shoe.